It's really hard to be a good Hegelian (or Christian, or Muslim, or really anything besides Buddhist maybe) during weeks like this, between the typhoon in Japan and the vicious counter-revolutions being waged by United States' allies in the Middle East. It's hard to see how anything could possibly make things like this worthwhile. As a good Hegelian you really want to believe that the universe is evolving the way it should, but to that we can go ahead and cue Voltaire. Art doesn't justify anything or "provide closure" or make any of the real horrors and indignities of existence even the least bit better, but it's still probably the best we can do. So here is Charlie Patton singing about the Mississippi river flood of 1927. I wonder what great art will be produced by this generation of traumatized Japanese, Bahranian, and Yemeni kids that will be listened to eighty years from now? It is really quite amazing the extent to which all popular Western music now owes some debt to Charlie Patton and the musicians of his generation that were scarred so badly by the 1927 flood. . . These lyrics are kind of inscrutible to the uninitated. Here's a transcription, completed below the fold. Please read them while listening. They make me cry. On asking good questions...on the myth of Dutch Liberalism, or how the Chinese disappeared from the Netherlands. Yesterday I had lunch with my dad; he spent most of his childhood in a Dutch refugee-camp (paid for by Dutch Jews not taxpayers! ), which the Nazis turned into a Concentration camp. In retirement, he participates in an education program, where he shares his experiences. (He is also active in anti-Racist events. For those that can read Dutch, here's some quotes from him at a Muslim-Jewish dialogue.) He's articulate and mobile, and may well become the last Holocaust survivor. During the months before Dutch Memorial Day (May 4) and Liberation Day (May 5) he is in particular demand and travels all around the Netherlands to speak at schools. "What happened"," he asked "to the Chinese in Holland during the War? It was a question posed to him by one of the school-kids in Kromenie. Aaugh! screwup in APA Central Division Program concerning Author Meets Critics session for Lee Braver's "A Thing of This World"
The program for the Central in a few weeks does not give correct information for the Author Meets Critics group discussion for Lee Braver's A Thing of this World: A History of Continental Anti-Realism. What were they thinking?!?! This not only neglects to mention two of the other critics (one of whom is me) but it also gets the title of the book wrong. Here's the correct version! "This was supposed to be embargoed, but there’ve been enough leaks to make me think I can go public with it: news has emerged today that the Centre for Professional Ethics at Keele (PEAK) is facing the axe, as is the Philosophy department." For more on this. So, the Dutch Department of Energy announced that the Dutch Nuclear Reactor facility at Borrsele (on the coast in Dutch Zeeland near Flanders) can withstand flooding that is estimated to occur once in a million years. I have no idea of the uncertainty in those models. But the real shocker is in the claim that the facility is built to withstand an earthquake with a 5.2 magnitude on the Richter scale. The worst recorded earthquake in the Netherlands was 5.8 (in Roermond near the German border in 1992) with another too strong earthquake earlier in the 20th century. Of course, nearby Belgium has experienced a very famous, recorded earthquake that was far worse. I quote the great Dutch natural philosopher: Christiaan Huygens (who was hundreds of kilometers away from the centre): "De stenen vloer waarop ik stond werd enigszins opgetild, en zakte weer in, en dat enige malen gedurende ongeveer tien of twaalf seconden." Stevan Harnad has provided us with this update. (See also Agnes Heller's column in Le Monde). There is reason to believe that the open international scrutiny that the philosopher affair has drawn from the German and French press, the Open Letter from 67 external and honorary members of the Hungarian Academy of Sciences', the American Philosophical Association's Eastern Division Open Letter, the AAAS Science/Insider and Chercheurs sans Frontières -- scrutiny that the anonymous poster(s) to ScienceInsider as well as Professor Palinkas (who is President of the Hungarian Academy of Sciences and former minister in the current ruling party's prior term of office) seem to see as interference in Hungarian internal affairs, if not outright obstruction of justice -- may be having a positive influence on the course of events in Hungary. "Battle: Los Angeles" is noisy, violent, ugly and stupid. Its manufacture is a reflection of appalling cynicism on the part of its makers, who don't even try to make it more than senseless chaos. But what's more interesting is the Hollywood / Pentagon connection. And that on two levels, before we even get into the Military-Nintendo Complex. There's the overt propaganda level of relentlessly portraying the US military as the good guys, something examined in the documentaries linked above. There we have consciously registered images, plus whatever conscious emotions you might be in touch with. But the other on the political physiology level. I'm speculating that the assault on the endocrine system by the fast cuts, loud explosions, and chaotic editing Ebert complains about on the aesthetic level also produce a sort of numbing effect after a while. Associating this numbing (pleasurable after the everyday tension of life in neoliberal insecurity) with the US military leads one to associate them with being saviors at a deeper level than consciously registered images, as in the traditional propaganda movie. If readers can point me to studies of the subpersonal neuro-endocrine effects of these kinds of movies, I'd be very grateful for the leads. UPDATE: M 14 March 9:37 am CDT: Andrew Culp reminds me of the work of James Der Derian in this respect. Nearly every online discussion of the ongoing catastrophe in Japan has focused on the danger of nuke plants in the face of unpredictable events like earthquakes. That is all well and good, and we would do well to recognize that seismology is a seriously inexact science, that will never give us precise predictions. But while industry hacks comb the internet arguing with those suggesting prudence, there are two related issues that I would hope do not get lost - issues that have nothing to do with technical details concerning the safety of plants in the face of natural disaster. Both have to do with the fact that nuclear power is centralizing - indeed, the most centralizing form of energy there is. That is, it takes enormous capital investment to build, staff, protect, etc. a nuke plant. This means that it serves to concentrate economic power. (It also always strengthens the corporatist collaboration of government and big business.) And it centralizes the distribution of electric power: producing at a single spot and then transmitting via lines to others, which is inherently wasteful. In addition to all the socio-economic effects of this centralization, there is the fact that such centralized power generation is an open invitation to military attack. Even if one hasn't the capability to breach containment with a bomb, reliance on nukes invites attacks that leave hundreds of thousands without power. Every nuke plant, that is, is a giant neon invitation to terrorists. No technological tweaking is going to change any of this. in the world of sports reporting, [cheering] is an absolute no no, universally taken to be an inappropriate expression of bias. But he was the only reporter who chose to defend his actions, and indeed to tweet about them afterward. Three days later Sports Illustrated fired him. Nevertheless, I remain ambivalent about Alva's post. I agree with him that much reporting is "spineless," and mistakes sampling two (often pre-packaged) opposed views for objectivity (and impartiality). But as Adam Smith teaches, the impartial spectator (as do great reporters) also ought to have self-command and Bowles apparently lacked that. (If he is an excellent reporter in other respects, I think that should not constitute grounds for dismissal.) So, Bowles should have cheered inwardly (or even let out an appreciative grunt), but he should have kept quiet about it after. That is, it is a sign of expertise that one does not need public approval for one's deeds--living up to the ethos/norms of one's vocation ought to be enough. Looking in a Chrystal Ball. The Sendai Earthquake that hit Japan is already a humanitarian disaster. If the Nuclear Reactors at Fukushima slide into meltdown, which seems increasingly, an epic catastrophe could well be imminent. (Fukushima is not far from the Japanese industrial heartland.) It is to be hoped this can be avoided. I suspect this may also be the end of the line for nuclear energy. Nobody can doubt Japanese technological quality--it also has a very deep nuclear infrastructure. Its science and engineering is second to none, and it has long experience with preparing for earthquakes. Thus, the limits of present-day safety-engineering have been revealed in this earthquake, which seems to have completely overwhelmed back up systems. Because Japan is otherwise entirely dependent on imported oil, one fallout (excuse my language) of this disaster may well be an accelerated drive into renewal and safer energy sources spearheaded by Japan. This was originally received as a comment but deserves its own post. Many thanks for permission to do so from the writer, Deborah Achtenberg of Nevada Reno. Faculty, staff and students in Nevada have demonstrated against the savage and unnecessary budget cuts in Nevada. At my institution, the University of Nevada, Reno (where my department, the Department of Philosophy, is not currently threatened), faculty and students rallied to SAVE UNR, OUR PUBLIC UNIVERSITY on March 2, 2011, the National Day of Action in Defense of Public Education; and students in the Las Vegas area demonstrated on the Las Vegas strip in the Shut Down the Strip for Education rally on March 11, 2011. A large statewide student rally will take place in the state capitol, Carson City, on March 21. Nevada has an active progressive movement, including the Progressive Leadership Alliance of Nevada (PLAN) which has organized numerous demonstrations at the capitol. PLAN includes a number of labor organizations and a wide variety of non-profits. Another organization active in opposing the budget cuts Is the Nevada Values Coalition. Another active group is Nevadans for Fair Mining Taxes. We're all in it together and say: DON'T GUT SOCIAL SERVICES AND EDUCATION! FIX THE REVENUE PROBLEM! There is an important poll going on promoted by the Feminist Philosophers, on whether women do indeed decline invitations to be keynote speakers more often than men, and if they do, what might be the reasons. We've been discussing this lately, as many conference organizers and volume editors have been reporting that they did invite women but that many (sometimes all) of them declined. If that's the case indeed, it would be important to try to figure out what mechanisms seem to be involved. So, if you are a female philosopher, go over there to report on your experience! "Fiscal emergency" bill proposed in Michigan allowing the governor the power to declare a state of exception. "Corporate coup d'état" is not too strong a term. [The bill] would give broad new powers to emergency financial managers, who are appointed by the state treasurer. Those powers include the ability to nullify collective bargained agreements, imposition of new agreements for those bargaining units which will have effect for as much as five years after the EMF leaves office and the ability for the manager to dissolve local governing bodies of schools and cities. The EMF would also have the power to eliminate any local ordinance or law he or she decides to eliminate. 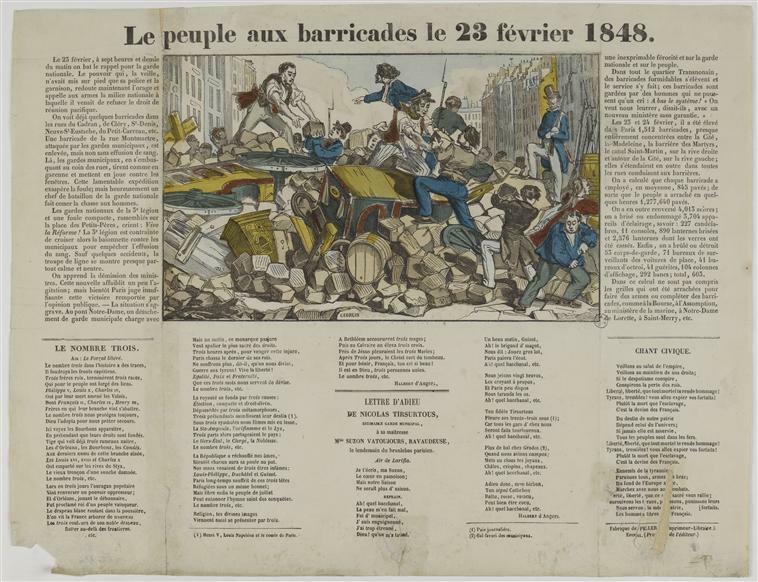 When do we get to say "aux barricades"? UNLV: philosophy & women's studies threatened. Brian Leiter and we have been reporting about the proposed elimination of the philosophy department and women's studies programs at UNLV. A letter writing campaign is under way (see the Leiter post for more info). These letters do get noticed, by the way, although the views of Nevada voters would probably be more influential in this instance. This is a very good website with up to date information on the issues. Speaking of petitions to changes to the Gourmet Report, a few years ago Brian Leiter hosted a very good discussion about the status of philosophy of social science and philosophy of economics in the Gourmet report. I'll be curious to see if it had any impact! Via Facebook: A petition to include Philosophy of Race in the Gourmet Report. From the petition: "It is a vibrant and important area of research and deserves full recognition by the report and the professional legitimacy that brings." Meanwhile, get ready for more red-baiting. One of the hallmarks of Brazilian music is actually the fact that there isn’t really such a thing as ‘Brazilian music’: the variety of rhythms and traditions is astounding and, from the gringo point of view, probably quite disorienting. This is of course related to the generous geography and cultural diversity, but even factoring that in, this diversity is quite impressive. So today I decided to talk about one of the most popular musical genres in Brazil, forró. Technically, forró is not a musical genre, but rather a dance style, which can be danced to a variety of different but related rhythms; nevertheless, as a generic name, forró is ok to describe this cluster of rhythms. Forró is the quintessential music of the Brazilian Northeastern region, widely popular both in rural and urban areas. It actually developed from European styles of folk music brought over by immigrants in the early 20th century; tellingly, the prototypical musical instrument for forró is the accordion, which clearly illustrates the connection with its folk European origins. It is danced throughout the year, but is particularly associated with the June festivities (Festa Junina), a big thing in Brazilian popular culture which takes us back to our ‘rural roots’. Forró is very much a rural phenomenon originally, and the songs are often about the sad fate of individuals who must migrate out of their home regions towards the big cities, chased away by drought and hunger (such as in the classic ‘Asa Branca’, here in the voice of its composer, the king of the genre: Luiz Gonzaga). Draft of a talk on Alva Noe's work: "Out of Our Heads and into Society"
Here's the draft. Comments welcome here or by email. Here's the website for the lectures, hosted by the Philosophy Department at UQAM (Université du Québec à Montréal), and organized by Mathieu Marion. Noë's website is here. unwilling evil and the piacular...or, on seeing oneself as a cause.. This week I am giving a talk at this workshop on the problem of evil at Notre Dame. My talk will be about Adam Smith (the subject of my dissertation). After a few years away from his writings, I am reading him with fresh eyes. During a very clever talk on moral luck in Smith, by a graduate student (Arizona) Keith Hankins, the following passage caught my renewed attention. “A man of humanity, who accidentally, and without the smallest degree of blamable negligence, has been the cause of the death of another man, feels himself piacular, though not guilty. During his whole life he considers this accident as one of the greatest misfortunes that could have befallen him. If the family of the slain is poor, and he himself in tolerable circumstances, he immediately takes them under his protection, and, without any other merit, thinks them entitled to every degree of favour and kindness. If they are in better circumstances, he endeavours by every submission, by every expression of sorrow, by rendering them every good office which he can devise or they accept of, to atone for what has happened, and to propitiate, as much as possible, their, perhaps natural, though no doubt most unjust resentment, for the great, though involuntary, offence which he has given them” (The Theory of Moral Sentiments). My paper will be extended commentary on this passage (not moral luck) because it calls attention to the moral significance of seeing oneself as a cause. I'll try to post highlights after the week-end.